Bellevue, Wash., August 9, 2016 – Expedia.com® today released the results of the 2016 Expedia Hotel Etiquette Study, which asked 1,018 Americans to identify the features and amenities they prioritize when booking a hotel, as well as the guest behaviors they find most aggravating. The study was commissioned by Expedia and executed by GfK, an independent global market research company. The study found that Americans who have stayed in a hotel at least once in the past two years disagree about the protocol of tipping hotel employees, but wholeheartedly agree on the importance of complimentary Wi-Fi. It revealed the behaviors that most infuriate guests and the amenities that most please them. A full analysis of the 2016 Expedia Hotel Etiquette Study can be found at the Expedia Viewfinder® blog. Americans are divided on whether to tip housekeeping – or whether to tip at all. Thirty percent claim that don’t tip anyone during a hotel stay. Among those who tip, the most-tipped hotel employee is the housekeeper (46 percent), followed by the room service attendant (40 percent). Thirty percent tip the valet and only 20 percent tip the porter. Ten percent tip the concierge. Americans were also asked about temptations to misbehave during a hotel stay. In response, 24 percent admit to “hoarding” toiletries to take home with them. Eleven percent have let multiple people sleep in their room without notifying the hotel, and 10 percent have taken items from their hotel room without permission. As it relates to more illicit activity, Americans are largely well-behaved. Only 4 percent have smoked in a non-smoking room. Three percent have “deliberately eavesdropped on a neighboring room.” Two percent have attended a hotel party that left the room in disarray, and the same percent of Americans admit to having been locked out of their hotel room wearing just a bathrobe. Thirty-one percent of respondents claim to have booked a hotel room for the express purpose of being intimate with someone. When asked about the factors that are “very important” in choosing a hotel, price remains the top consideration, selected by 73 percent of respondents. Complimentary Wi-Fi ranks second (63 percent), followed by “location” (61 percent), “reviews” (43 percent) and “parking options” (38 percent). The ability to earn hotel rewards points and the hotel brand itself were deemed very important by only 20 percent and 18 percent of hotel visitors, respectively. Wi-Fi was also selected as the top hotel amenity, deemed very/somewhat important by 88 percent of respondents. A full 97 percent of respondents believe Wi-Fi should be provided by the hotel at no charge. An in-room fridge (81 percent), complimentary toiletries (80 percent) and a pool (59 percent) round out the top four preferred amenities. The study was conducted online using the GfK “KnowledgePanel,” an online probability-based panel designed to be representative of the US general population, not just the online population. The study consisted of 1,018 interviews of randomly selected U.S. adult residents, conducted between July 8-10, 2016, among adults aged 18+. 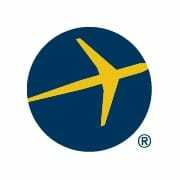 Expedia, Expedia.com, Expedia+, Find Yours, Vacation Deprivation, Expedia Viewfinder and the Airplane logo are either trademarks or registered trademarks of Expedia, Inc. in the U.S. and/or other countries. Other product and company names mentioned herein may be the property of their respective owners © 2016 Expedia, Inc. All rights reserved. CST # 2029030-50.